Where DX is our middle name!! Welcome to the Web site of W9TY, the Metro DX Club of South Suburban Chicago, Illinois. Our regular meetings are at the Tinley Park Emergency Management Agency located at 17355 S. 68th Court in Tinley Park, IL in the operations room on the ground floor. Our next event will be on Friday May 17, 2019 at 7:30. See you there! Does Metro participate in contests? CLICK HERE for the answer! Is CW alive and well? How can I learn more? CLICK HERE for the answer! I've heard about traffic handling in emergencies. CLICK HERE for more info. 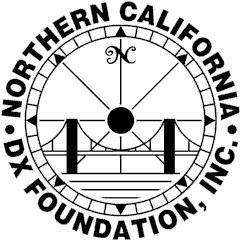 Congratulations to Metro DX member Val, NV9L, for being named the 2018 "Ham of the Year" by the Dayton Amateur Radio Association (DARA). Congratulations to Metro DX member Jerry, WB9Z, inducted into the DX Hall of Fame in 2017! with Bob Schenck, N2OO (left) and Ralph Fedor, KØIR. Photo: KC8RP Courtesy NCDXF. Read the entire article about Jerry and his fellow inductees in the July 2017 issue of "CQ". We sponsor the colorful W.U.S.T. (Worked U.S. Territories) Award for confirmed contact with 13, 14 or 15 of those Territories. You will be proud to display this award! If you have contacted the most recently deleted WUST Territory - Kingman Reef (KH6K) deleted on 01 April 2016 you qualify for a "SPECIAL HISTORIC" version of the WUST Award! Congratulations to the latest recipient of the W.U.S.T Award: OK2BVX (16). Awarded in 2019: WA5UA (14), LA5YJ (16), OK2BVX (16). Awarded in 2018: KO6LU (13), WB5OSD (14), GM3ITN (16), DK8MCT (13), W5DAW (13), JA7CVL (16), VE3VTG (13). Awarded in 2017: DL6MRS (15), KU8X(16), AK76O (16), I4YCE (16), I5HOR (16), I2AOX (16), I1FY (15), IW9HII (12), N9IGP (14), ACØX (16) JA7QVI (16) and AC2G (14). Awarded in 2016: KB9LIE (16), K9OT (16), IK4DRY (16), GØDBE (16), G4NXG/M (16), K1KOB (16), K2DFC (16), JN3SAC (16), KB8VAO (14), KF4NEF (endorsement #16), WØNB (16), VK2HV (16), SV2CXI (16), AH6FX (14), OE6CLD (16), DL1ASA (16), SP8IQR (16) and KF4MH (16). For a listing of all recipients, CLICK HERE. Need someone to check your QSL cards for your DXCC submission? Contact Carl, K9CS, our own QSL card checker for help! Team St. Martin's operation for 2018 was a great success with K9EL, K9NU, W9MK and W9ILY logging over 7,000 QSOs. Watch for a 2019 announcement. There will be a large DXpedition to Pitcairn Island (VP6) in October 2019 and two Metro DXers will be on the team - N9TK and WB9Z. CLICK HERE for the info. FOR A LIST OF SCHEDULED DX OPERATIONS, CLICK HERE and CLICK HERE. Hear what a DXpedition hears from the DX side! CLICK HERE. Our club is listed in Clublog as a member club. All members should be sure to join Clublog (https://www.clublog.org) and add METRO DX Club (MetroDXC) as one of your clubs! As of 4/1/2019, the following members have registered Metro as one of their clubs: AC9EF, AI9L, K9ACM, K9AJ, K9BBQ, K9CJ, K9CQ, K9CS, K9DRS, K9EL, K9GA, K9NB, K9NR, K9NU, K9PMV, K9PY, KA9ZZT, KM9M, N2WB, N9AAC, N9AKR, N9IHZ, N9LAH, N9ORD, N9TK, N9VVO, N9WK, NE9A, NV9L, NV9X, W9AEB, W9ILY, W9IXX, W9MK, W9NKV, W9OA, W9UM, WA9LEY, WB9JYZ, WB9Z, WG9V and WT2P. CONGRATULATIONS to our officers for 2019: Agreeing to hold their posts for an additional year are President: Jim Mornar N9TK, Vice-President: Bob, Jacobson K9CJ, Secretary Lee Swanson, WA9LEY, and Treasurer: John Holmes W9ILY. Congratulations to Thomas, formerly N9IHZ, receiving a new call K9LS. Our annual Winterfest dinner in January was attended by 32 members and guests at Papa Joe's in Orland Park. We all enjoyed the great dinner, door prizes and lots of laughter! CONGRATULATIONS to our officers for 2018: Agreeing to hold their posts for an additional year are President: Jim Mornar N9TK, Vice-President: Bob, Jacobson K9CJ, and Treasurer: John Holmes W9ILY. Lee Swanson, WA9LEY was elected for the position of Secretary. Our annual Winterfest dinner was held on Friday, January 19 at Papa Joe's in Orland Park. 21 members and guests enjoyed a great meal, door prizes and lots of fun. We made the decision to move our Metrodxclub email reflector to Groups.io. It went very smoothly and the Yahoo Groups reflector was closed down. We moved over emails, all the files and more importantly the active members. The preferences you listed on Yahoo Groups were carried over. If you are not signed up on the new group, it’s not too late. You don’t need an account at groups.io but it helps. https://groups.io/register will get you started. Then you can look for Metrodxclub and join. Welcome to new members Steve Peters W9KXT and Mike McGuire K9ACM. We had outstanding programs to start the year. N9TK presented his Bouvet adventure and NV9L presented her Puerto Rico experiences following the hurricanes. Mike K9AJ with his buddy KD6WW operated as /VY0 from rare IOTA NA-207 for five days in July. The last activation of this IOTA was 18 years ago! They made 3,436 QSOs on CW & SSB, and 337 on FT8. Everyone enjoyed our annual picnic at the QTH of Jerry WB9Z and Val NV9L. Thanks for the great time! Welcome to new member in August - Tim K9CQ from Jacksonville, IL. Our annual picnic was held on Saturday August 11 at the QTH of WB9Z/NV9L near Crescent City. Approximately 30 members had a great time! Welcome to TWO new members in September - "CJ" WT2P and Ron KD9FQP. Our club special event station W9C was again active October 15-21. CLICK HERE for all the details! Would you like to contact us? CLICK HERE! Have questions about club membership? CLICK HERE! Are you an award chaser? Click HERE for information about the awards that we sponsor. What did METRO do in past years? Click HERE for the highlights! Check out our Club Reflector! Click HERE. Be sure to check the member photos posted there! Also, check archived copies of our former printed newsletter, the Metro DXer. Club contest QSO activities are posted. How did you do against other club members? Check it out now by clicking HERE to see the OUR CLUB CONTESTING RESULTS. Have you won an award? Let W9ILY know so a copy can be posted HERE! Check out the members awards! This page was last updated on 04/23/19.